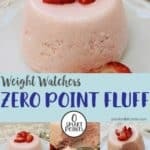 This simple, tasty yogurt Fluff is zero points on Weight Watchers Freestyle / Flex plan. 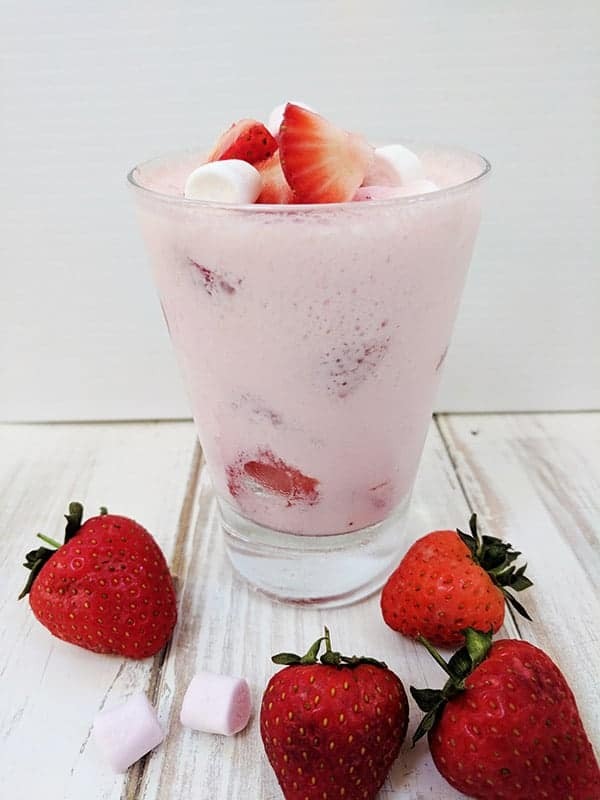 Made with sugar free jelly / jello and fat free yogurt, this easy dessert is zero SmartPoints! How good is that! If not, you’re in for a treat! 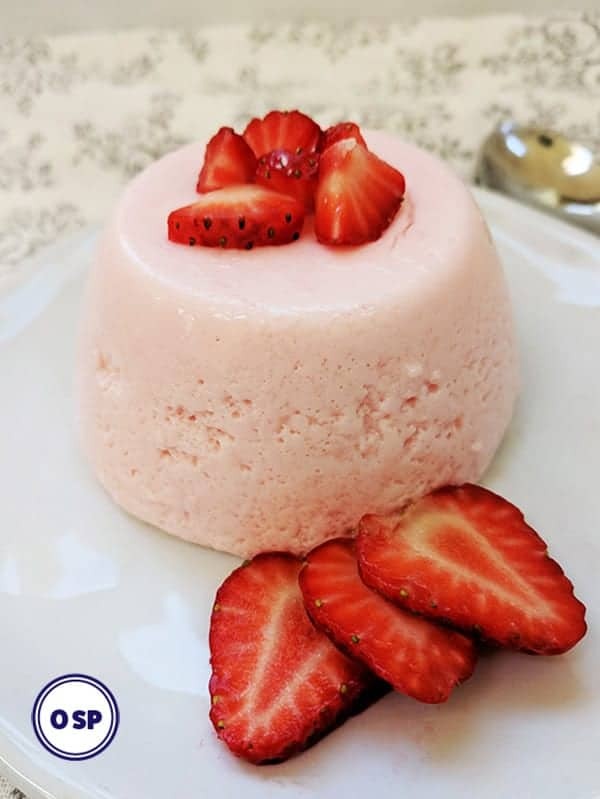 It is a genius mix of fat free natural yogurt (or fat free Greek yogurt) and sugar free jelly / jello that is whisked up to create a light and moussey dessert! 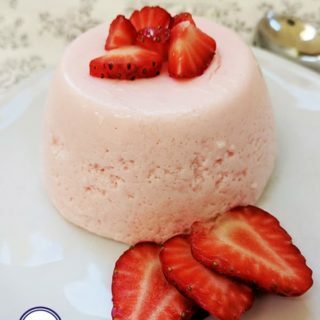 It can be spooned into individual ramekins, or can be chilled in individual pudding bowls or jelly moulds and turned out as a set dessert. Whichever way you serve it, it will be light and fluffy and delicious. There are also variations of Fluff that you could try! How about this Marshmallow Fluff? 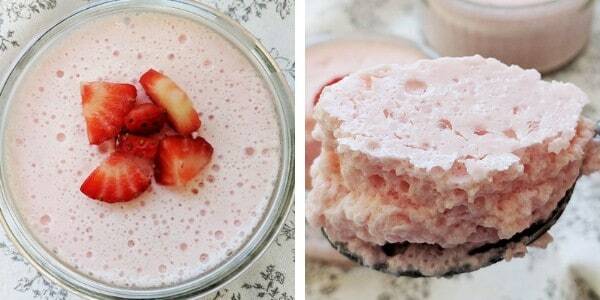 Or perhaps, this Strawberry Fluff, which swaps the fat free yogurt for half fat evaporated milk. It is 2 SmartPoints per portion, but it’s really good! How about using Orange Flavoured Sugar Free Jello and mixing in some tinned mandarin pieces? Or Raspberry Sugar Free Jello with some fresh raspberries on top. A stand mixer does make creating fluff easier, but is by no means essential. If using a handheld mixer you will just need to be patient whilst standing there whisking! 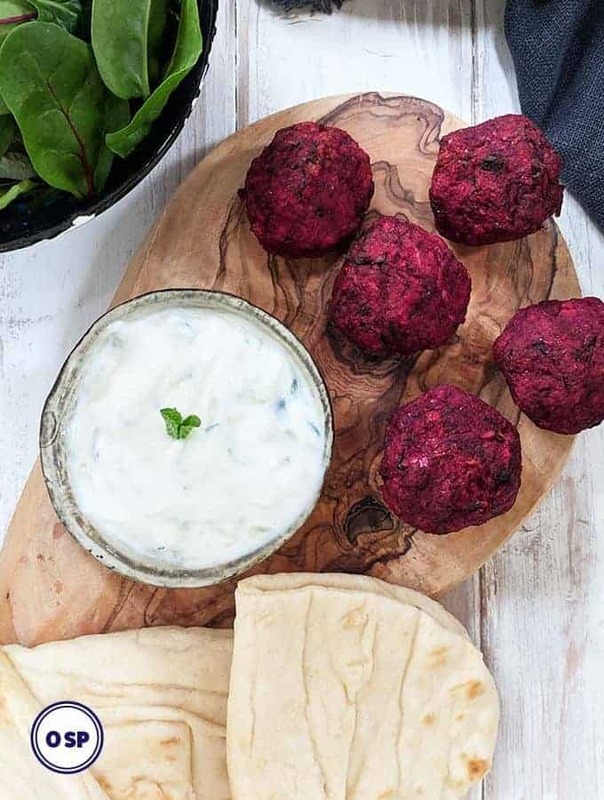 You can use either fat free natural yogurt or fat free Greek yogurt – whichever you prefer! Just whisk away until lots of bubbles appear and the the mixture increases in volume. The jelly mixture should not be hot when you pour it into the yogurt. I suggest dissolving the jello in boiling water and then adding cold water. Experiment with different flavours of sugar free jelly / jello and top with with different fruits. If you are planning to turn out your Fluff desserts, I’d suggest that you coat the inside of your pudding bowls with a very thin layer of a spray oil first. This makes them easier to turn out! Just run a knife around the rim of the bowl once the Fluff has chilled for a couple of hours. Upend the bowl onto a plate and give the bowl a bit of a shake. The fluff should release easily. Top with some chopped strawberries. I used a stand mixer, like this one, available from Amazon. I used these individual pudding bowls to make the individual fluffs. Baked Egg Custards are one of my favourite WW desserts. Just 3 SmartPoints per portion. 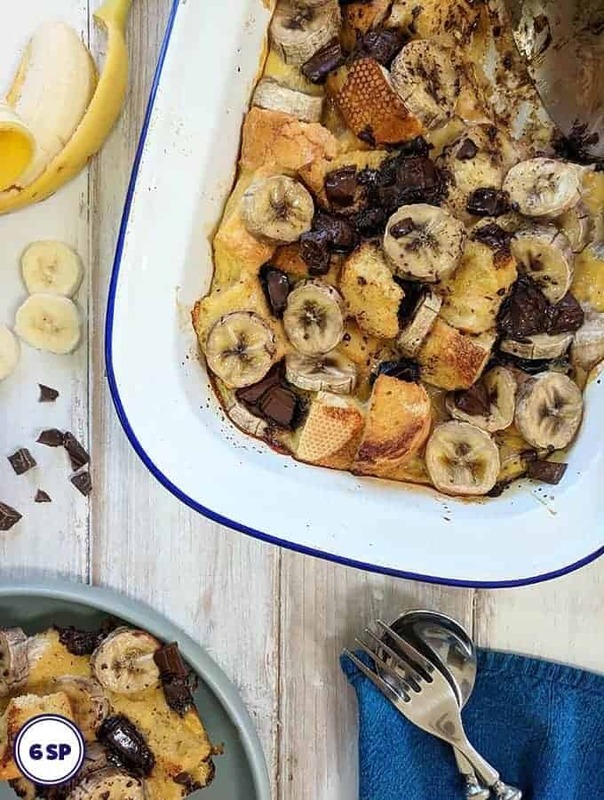 Lemon Pudding This self saucing Lemon Pudding is very popular and at just 4 SmartPoints per portion, I can see why! Chocolate Pots These decadent chocolatey desserts are 5 SmartPoint per pot & are just what you need when chocolate craving hits. Gooseberry Fool This is another yogurt based Zero SmartPoint dessert! Love it! Strawberry Kebabs These fun WW fruit kebabs are a firm favourite in this household! 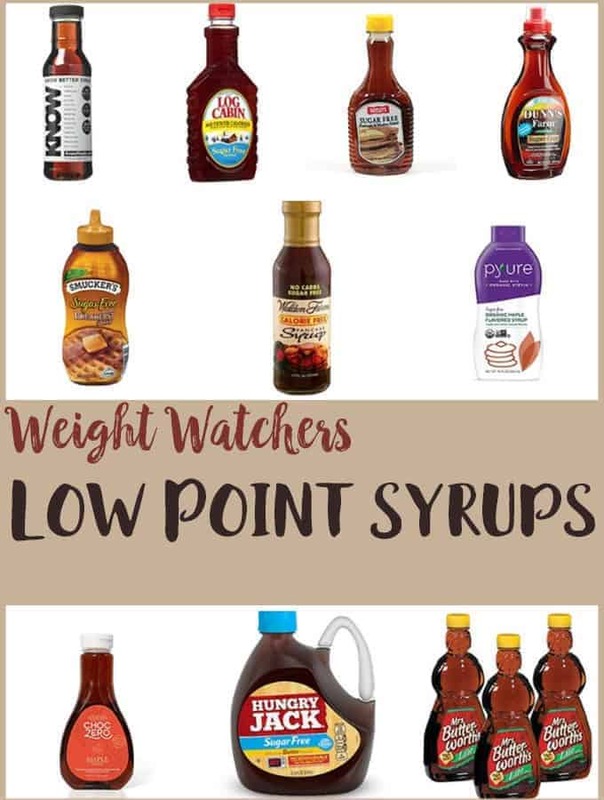 This delicious and easy to make dessert is zero point on Weight Watchers Flex / Freestyle plan. Pour the jelly/jello crystals or powder into a jug and add the boiling water. Stir to dissolve. Once dissolved add the cold water and set aside to cool for 5 minutes. Pour the yogurt into the bowl of your stand mixer (or if you are using a handheld mixer, into a large bowl). Whisk for 2 - 3 minutes until lots of bubbles are starting to form on the top. Slowly pour the jelly/jello mixture in a steady stream into the yogurt whilst continuing to whisk. Whisk for a further 5 - 10 minutes until the mixture has increased in volume and is light and bubbly. Spoon the mixture into individual ramekins. If you are wanting to turn out the fluff (as in the photograph) coat the inside of individual pudding bowls with a very thin layer of spray oil before spooning the mixture in. Place in the fridge to chill for at least 2 hours until the fluff has set. If you are turning out the fluff, run the tip of a knife around the edge of the pudding bowls before turning out on to a plate. 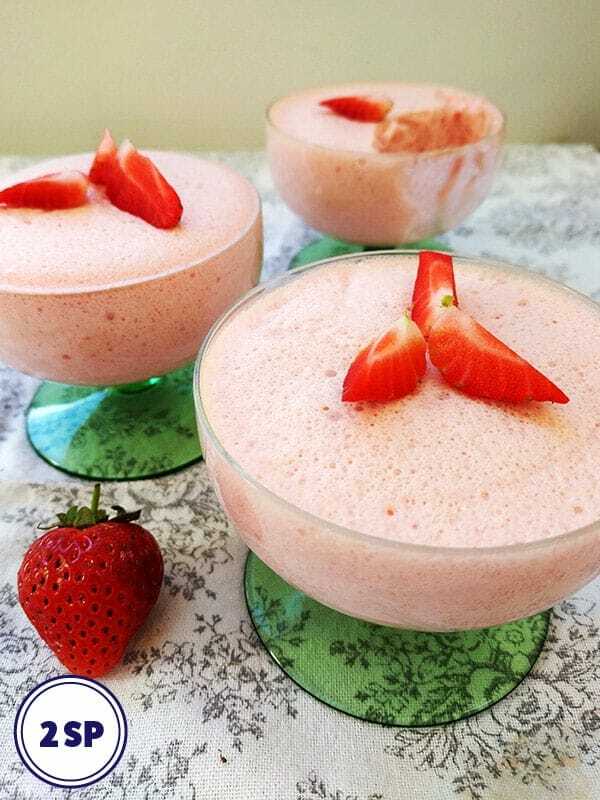 Serve with sliced strawberries. Thank you for your comment Sheila! Good luck with your WW journey! I made this with orange jelly and added a few chocolate chips. Dies add a little to the points but tastes like chocolate orange!